Innovative technology is estimated to save 40 days in the commissioning phase by reducing manual interventions by 98%. ABB is set to deliver what it believes to be the world’s fastest start-up when Equinor’s Aasta Hansteen gas field begins operating and produces its first gas. 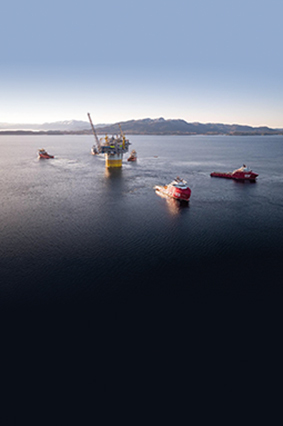 The firm is in the final phase of providing a suite of ABB Ability digital technologies for Aasta Hansteen, which is located in 1,300m of water in the Vøring area of the Norwegian Sea, 300km from land. Part of the challenge for ABB was to make the first gas start-up process as quick and efficient as possible. For this, it needed to reduce a sequence of over 1,000 manual interventions to as few as possible. The outcome is a series of buttons that are as simple as starting a car. The company estimates it saved about 40 days (or nearly 2,700 man-hours) in the commissioning phase of the project by using the simulator to identify and improve 57 areas in the start-up. The simulator is a solution that minimises risk and reduces the occurrence of unplanned shutdowns, while improving safety, productivity and energy savings. It has a control system that is disconnected from the physical process and is instead simulated by a dynamic process model. By seamlessly extending the distributed control system (DCS), the ABB system provides the same look and feel as the core functional areas. It is a scalable solution in system size, functionality and control system connectivity and is available in three editions: Basic, Premium and Professional. The solution is part of a much bigger suite of digital technologies being implemented by ABB at Aasta Hansteen. These include a condition monitoring system to monitor more than 100,000 maintenance conditions from more than 4,000 pieces of equipment, tools for alarm management and alarm rationalisation, delivery of several safety critical applications, data storage solution to store all alarms and events easily, and third-party system integration of essential data traffic.